Dominique Hart offers onsite lessons and training. Lessons range from beginner to advanced, children to adults, and are catered to the owner/rider’s specific goals and needs. She has been training horses (and people!) professionally for over 15 years. She has a broad and extensive background in multiple disciplines including English and Western; ranging from jumping dressage to cutting, reining, roping and barrel racing. Her training is based on a dressage and reining type foundation. She likes a very broke horse that is happy and willing, soft and supple. 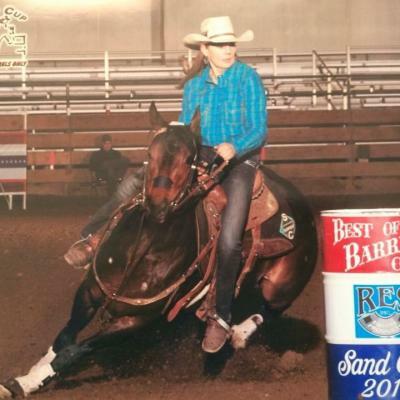 She has shown and competed on both State and National levels, however, her passion is training horses and teaching people. She believes in bridging the gap between horse and rider through patience, understanding and clear communication. Her goal is to help in any way she can so that horse and rider can follow their dreams and reach their goals! Please see the Rates section for fee information. Inquiries please email silverhorseranch@outlook.com or call/text (425) 327-5368.